Chapter 22!! Can you believe it!? 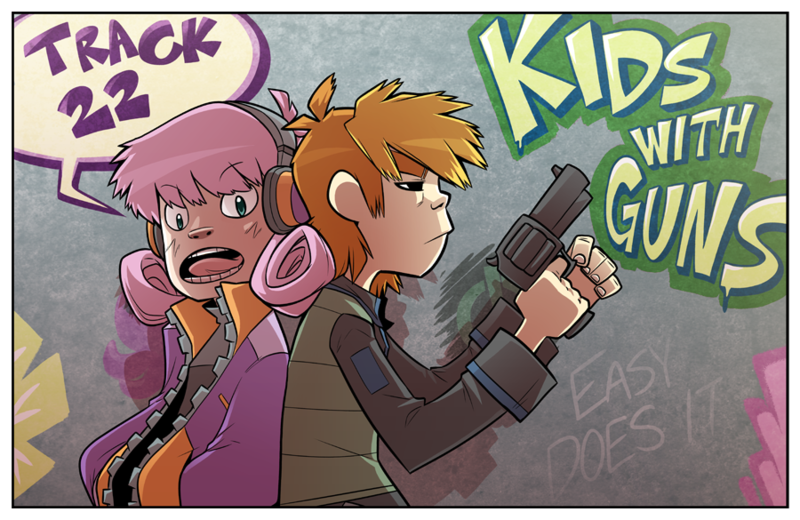 Anyway, this one is obviously named for Kids with Guns by the Gorillaz, and the art is a tribute to their style. I've been listening to a LOT of Demon Days this past week, and it's still just such a dang good album. So many feelings. 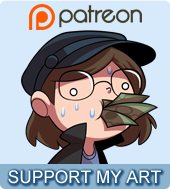 There's also wallpaper sized versions of this page up for $5 patrons, if you're into that kind of thing.